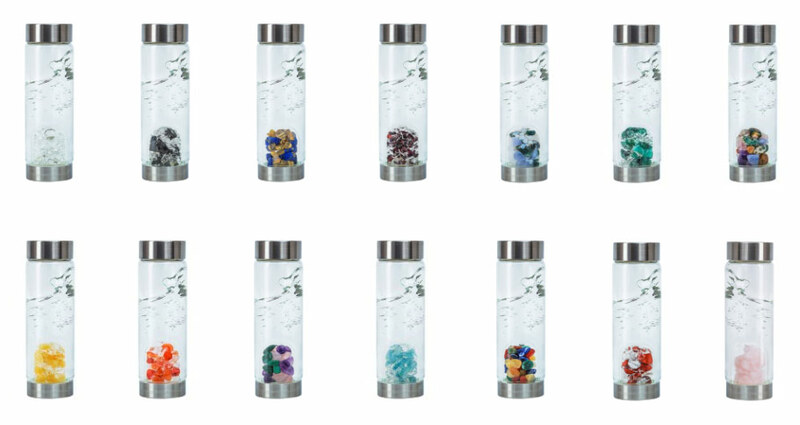 Discover the next step in the evolution of VitaJuwel gemwater accessories. Get ready for a sip of fresh and vital water wherever you are with VitaJuwel ViA. VitaJuwel is your very personal piece of Jewelry for Water. There are 17 carefully selected gemstone blends available, suiting every preference and mood. Do you want to relax with your own Spa-To-Go? Have some smooth and balancing WELLNESS, filled with rose quartz, amethyst and clear quartz! Care for a motivating drink of SUNNY MORNING with beaming bright Orange Calcite? Got a feeling for a little FITNESS with Magnesite and Red Jasper after a hard hour of workout at the gym? Or attract attention at the club with DIAMOND? Just screw off one gempod and swap it with another. It's easy as 1-2-3. 23.5 billion gallons of water are filled in plastic bottles annually. 1,500 plastic bottles per second (!) are used in the Unites States. 80 % of these bottles are not recycled. These plastic bottles are made from petroleum. More and more landscapes in the world become tornup, devastated and polluted by drilling and fracking. Transporting bottled water over oceans and continents by planes, ships, trains and trucks consumes vast amounts of energy and burdens our environment. Start to think green now and use refillable glass bottles.